Brian Samuel Epstein (pronounced /ˈɛpstaɪn/) (19 September 1934 – 27 August 1967) was a British music entrepreneur, and the manager of The Beatles. Through his family's company, NEMS (North End Music Stores) he also managed several other musical artists such as Gerry & The Pacemakers, Billy J. Kramer and the Dakotas, Cilla Black and The Remo Four. The Beatles recorded a demo in Decca's studios — paid for by Epstein — which he later persuaded George Martin to listen to, as Decca were not interested in signing the band. Epstein was then offered a contract (after Martin had auditioned the group) by EMI's small Parlophone label, even though they had previously been rejected by almost every other British record company. Epstein died of an accidental drug overdose at his home in London in August 1967. The Beatles' early success has been attributed to Epstein's management and sense of style. Paul McCartney said of Epstein: "If anyone was the Fifth Beatle, it was Brian." A Song for Brian Epstein. 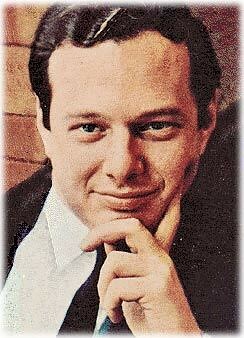 "Brian Was The Fifth Beatle" about The Beatles Manager, Brian Epstein.